December is proving to be a great time for Galaxy S10 leaks. Since the start of the month, new pieces of information have surfaced on an almost daily basis. And today is no different with online retailer Mobile Fun revealing some interesting details about Samsung’s upcoming flagship lineup. Obtained via an “official Samsung supplier,” it’s claimed once again that the budget model will be marketed as the Galaxy S10 Lite. 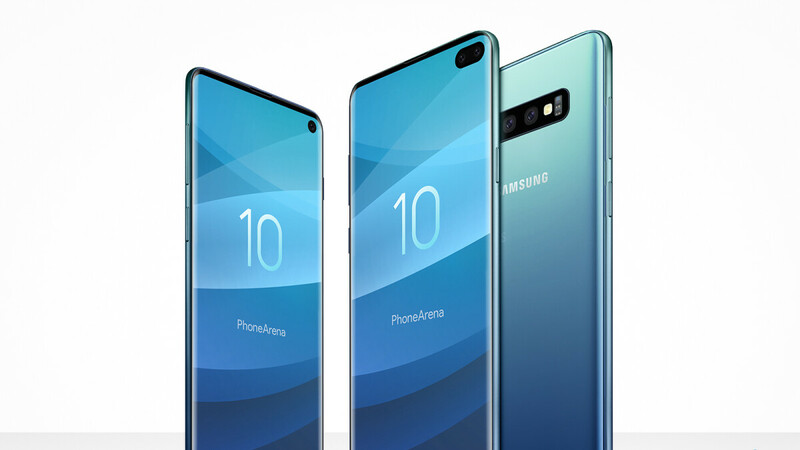 Similarly, the range-topping 6.4-inch device will be known as the Galaxy S10+ upon launch. Joining these is set to be a 6.1-inch offering too. This time around, though, it’s unexpectedly referred to as the Galaxy S10 Edge. If this last bit of information is accurate, a move to reinstate the “Edge” branding on Samsung’s flagships would certainly be a big one for the company. After all, the South Korean giant hasn’t used the moniker since the release of the Galaxy S7 Edge in 2016. It could also allow the brand to better differentiate its flagship from rival devices. Moving over to accessory-related details, all three devices will launch alongside a wide range of cases and covers. Making a return will be Samsung’s LED View Cover in Black, Green, and White; the company’s Silicone Cover in Black, White, Blue, Berry Pink, Green, Yellow, and Navy; a Leather Cover in Black, White, Gray, Green, Navy, Red, and Yellow; its Clear Cover in Black, Green, and White; and its Protective Standing Cover in Black and Silver. Joining these will be a new LED Cover in Black and White. Additionally, Galaxy S10 Edge and S10+ users will have access to a transparent case, while Galaxy S10 Lite owners will be able to purchase a Yellow Clear View Cover. On one final note, it’s claimed that the Galaxy S10 Lite, Galaxy S10 Edge, and Galaxy S10+ will all ship with screen protectors pre-installed. What does that have to do with this article? Go be a troll somewhere else. Honestly I was gonna upgrade to the galaxy s10 but I decided to buy a used pixel 2 for now and wait for the pixel 4, cause it does seem like it's gonna destroy the competition if google does it right this time. If its not as good as I expected then I can just wait an another year, but I know that the galaxy s10 doesn't stand a chance against the pixel 4, no 7nm processor for most of the world, worse optimization, slow update support and for only 2 years, worse camera, no front facing stereo speakers (hopefully the pixel 4 will retain that), and probably worse battery life. The main advantages it will have over the pixel are a better display and maybe a better design but overall the pixel 4 may be the far better phone. That's what I would have thought too. But if it does happen perhaps it's an attempt to generate a bit more interest. IMO Galaxy S10 Edge sounds much cooler than Galaxy S10. I'd rather have a Galaxy S10 Flat. I thought all Galaxy S going to be curved in 2019. That's why I gave up hope on Samsung and got the Mate 20 X. They can go and f**k themselves with that curved screen. Flat all the way. I agree, oneplus 7/7t and pixel 4 / 4xl will be the best phones next year. And note 10 best for features and productivity. Curved screen + giant holes There's really nothing left.